The St. Teresa Suite offers similar features as the Diamond Suite within a 700 square foot design. This home provides a full and spacious living room and dining room area with kitchenette and private entry to your bedroom and bathroom. You will also enjoy the comfort of a guest bathroom and one additional closet for storage. 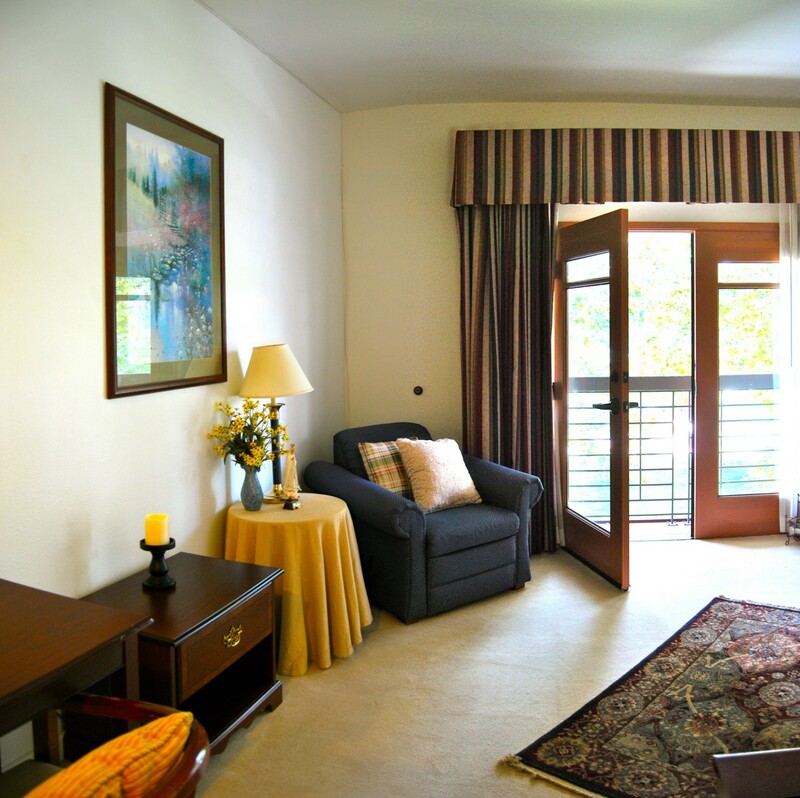 The St. Teresa Suite is available on both the first or second floor and provides great views of the San Gabriel Mountains or the San Gabriel River. 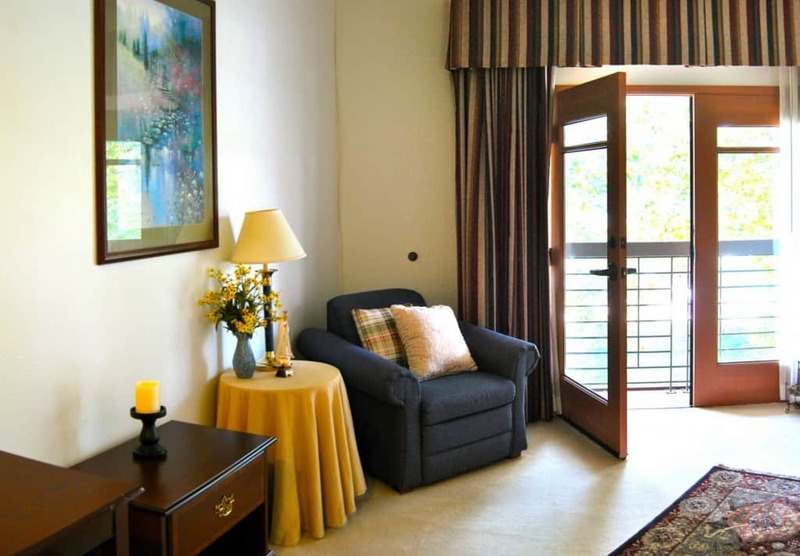 Our first floor St. Teresa Suites have French doors leading to two commodious patios, great for relaxation and/or meditation, while our second floor suites have French doors leading to two separate balconies, for your plants and/or decorations. All of our St. Teresa Suites have a spacious bathroom equipped with a built in shower seat and a handy moveable and extendable showerhead for easy and convenient access. It is also furnished with an individual air conditioning and heating unit, which permits you to regulate temperature based on your preference. The St. Teresa Suite has elegant carpet, as well as stylish blackout curtains to promote better sleep. It also includes telephone, Internet, and cable television capabilities.